home → Loans → Loan Basics → What is an Annuity Loan? An annuity loan is a type of loan an annuity holder borrows money against the cash value of the annuity contract. This type of loan allows individuals to access their retirement funds without going through the hassle of cashing out the annuity. An annuity loan can provide several benefits to those with an annuity and has several unique features to consider. When an individual purchases a deferred annuity, they make regular payments to an insurance company towards the purchase of the total annuity contract. Once they reach the age of retirement, the annuity will pay them a certain amount of money every month. Before an individual reaches retirement age, they can borrow against the cash value of this contract with an annuity loan. When they borrow this money, they have to pay it back with interest over a certain amount of time. In most cases, the borrower has as long as five years to repay the loan. Every annuity provider is different with the terms and conditions that they offer. In most cases, you can borrow as much as half of the cash value of the annuity with a loan. In order to access this type of loan, you will need to speak to the company that issued your annuity. You will have to fill out a loan request form and then the loan will be processed. You will receive the funds in a lump sum and then you can make periodic payments to retire the balance. One of the primary advantages of taking out an annuity loan is that you can avoid surrender charges. Once you open an annuity contract, if you cancel it out within a certain amount time, you will have to pay surrender charges. Most of the time, these surrender charges will erase any gains that you have earned through the annuity contract. If you need access to the money, you can simply borrow it from the annuity without cashing it in and these surrender charges can be avoided. Another benefit of using the annuity loan method is that you can avoid paying taxes and early distribution tax penalties. If you cash out your annuity before you reach the age of 59 1/2, you will have to pay a 10% early distribution penalty on the amount that you take out. In addition to that, you will also have to count the money as regular income and pay income taxes on it. 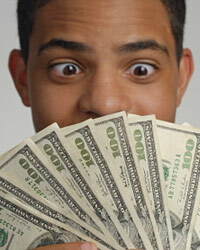 With this type of loan, there are a few drawbacks that you should be aware of. If you do not pay back the loan in time, it will be counted as a distribution which means that you will have to pay the 10% early distribution penalty. Another problem that you will have to deal with is that borrowing money against the annuity will inhibit the ability of the investments to accumulate earnings. You will potentially miss out on additional money that could have been earned. Difference Between a Single-Life Annuity and Joint-and-Survivor AnnuityThe Ins and Outs of an Ordinary AnnuityThe Private AnnuityHow Does an Annuity Contract Work?